Winter is quickly approaching, and what better way than to spend a cold winter evening near the fireplace with your favorite family? No, I don't mean your Grandpa Lou, but I mean your favorite family, whether that happens to be the Huxtables, Cunninghams, Tanners, Ricardos, or whatever your favorite family may be! 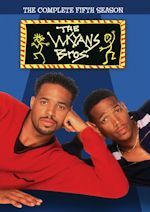 You can always enjoy them all on DVD, and for your enjoyment, we bring you another edition of Digital Digest, where we keep you up to date on everything digital as it relates to our favorite TV series! 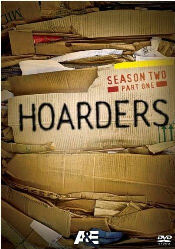 In addition to our regular news and updates, we also have a DVD review of Hoarders - Season Two, Part One. So cuddle up and let's get started! We mentioned in October that there were credible rumors that the series Car 54, Where Are You? was coming to DVD sometime early next year, and now those credible rumors are fact! Shanchie Entertainment is preparing to release the first season of the series on February 22 at a $39.98 MSRP. Full details aren't known just yet, but it sounds like this is going to be a great set, full of special features. The studio has already indicated that there will be interviews included on the set. It looks like it'll be another nice set, and we can't wait to see it! We'll have more information whenever it is available. Universal released the first three seasons of the series Coach a few years ago, and it seemed that the series had been abandoned... but as it turns out, it has not! This information uncovers that Coach - The Fourth Season is indeed heading to DVD soon! It'll be available on March 15 at a $24.98 MSRP. Surprisingly, the series is being released by Universal, and not licensed to a third party as many other older Universal series have been. We are definitely looking forward to this release, and hopefully even more releases of the series. You can already pre-order it from amazon.com. Finally, we end with a little bit of Payne... as in House of Payne! House of Payne - Volume 6 is set for a February 22 release from Lionsgate at a $29.98 MSRP. It will contain episodes 101-124 of the TBS sitcom. Few other details are known at this time. Tuesday (December 7) brings us the long awaited Boy Meets World - The Complete Fourth Season on DVD! Fans have been waiting for this release for a very long time since Buena Vista announced (and subsequently canceled) the release of it years ago, but now Lionsgate has taken the torch and is continuing to release it (along with their re-releases of the first three seasons, which came out a few months ago). You can read our review here. We will have another little surprise for this release soon. Additionally, from Shout! Factory, all subjects are innocent until proven guilty (but you know they'll be proven guilty) with their latest release of Dragnet, in Dragnet 1969 - Season 3. We hope to have a review of this DVD set soon, as well. A&E takes a dramatic look inside the lives of people struggling to overcome compulsive hoarding in Season Two of Hoarders. The #1 nonfiction series follows people whose inability to part with their belongings is so out of control that they are on the verge of a personal crisis. Whether they're facing eviction, the loss of their children, jail time, or divorce, these compulsive hoarders are desperately in need of help. In fly-on-the-wall style, A&E is there to document the drama as experts work to put each on the road to recovery. But cleaning is just the first step, and healing is not guaranteed. For some, throwing away even the tiniest possession - a sponge, a button, an empty box - is so painful that they won't be able to complete the cleaning process. For others, professional help and an organizer's guidance give them the strength to recover. At the end of each episode find out who has been able to keep their hoarding behavior at bay and who, despite help, is still lost inside the disease. This DVD set includes the first seven episodes of the second season. A total of 15 episodes, including a Season #1 update, were produced for the second season. 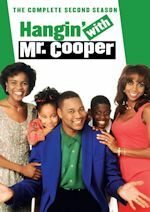 Season Two premiered on November 30, 2009. The 2-disc set comes in an Amaray movie-style case. The cover features the show logo and stacks of cardboard. A synopsis of the show and the DVD specs are listed on the back of the case. The discs have the show logo and have cardboard in the background. The people profiled are listed on each disc. Four episodes are on Disc One. 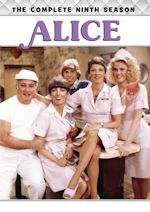 Three episodes are included on Disc Two. There is just black space inside the case. It would have been nice if they included episode summaries, production notes or photos. A montage of video clips from the show and some instrumental music plays when you first insert a disc. This leads to the static main menu where they display the title logo and piles of cardboard. Each episode is listed on the main menu in white text. The episode you highlight is in orange that turns light blue upon your selection. When you select an episode, it takes you to a sub-menu where you can play individual scenes. An item related to the specific episode is featured on each menu. Strangely, there is no Play All button to play all of the episodes together. As you would expect, the video and audio quality is outstanding. The episodes are in widescreen 1.33:1 format. This is a slickly produced show with nice camera work, editing and music. Closed captioning is available for all of the episodes. The total running time is approximately 5 hours, 29 minutes. The episodes are presented in their original broadcast order. Here are the episode summaries as provided by the Official A&E website. Augustine (44:33) - 14 years ago Jason was removed from his mother Augustine's home by Child Protective Services because of her hoarding. She was never able to clean up enough to have him return. Now, as an adult living on the other side of the country, he is filled with shame and resentment, but unable to turn his back on her. Her hoarding has become so severe that she has lived without water, gas, heat or appliances for the last four years--bathing only once a week at her sister's house. Complaints from neighbors have instigated a court ordered clean-up and she is now facing fines and the threat of jail time. We follow Jason as he tries one last time to rescue his mother from the filth he escaped from years ago. Judi / Gail (44:30) - When rescue workers were called to Judi's home they found her stuck in massive amounts of clutter and were forced to remove her through the kitchen window. The city condemned her home and she was placed in a rehabilitation facility. But time is running out. Medicare will stop paying in two weeks and Judi has nowhere to go. Gail once lived the disciplined life of a ballerina; but now her house is so full of possessions that the floors are sinking, the gas line is bent and the water pipes are broken. Gail must clean up enough to make repairs before winter. Chris / Dale (44:27) - After the death of her newborn son, Chris filled the void by surrounding herself with possessions. Attention Deficit Disorder makes it impossible for her to focus long enough to clean up. She's now at risk of losing custody of her daughters who are still living in the house. Dale is at risk of eviction from his city subsidized housing because his apartment is filled with "found objects" that he hopes to one day turn into works of art. After he repeatedly failed to meet deadlines for cleaning, the court began the process to stop his housing subsidy. He won't be eligible for another three years and has no other place to go. Bob / Richard (44:30) - Bob and Betsey's home is filled with broken furniture, appliances, food, piles of clothes, mounds of books and toys. An invasion of fleas and bed bugs has forced them and their four children into a tent in the backyard where they have been sleeping for the last two months. But with the dropping temperatures and growing fear of being reported to local authorities, they must clean out their entire house or risk losing everything. Retired veterinarian Richard, "Dr. Dickey," has spent more than half a million dollars filling his house, two garages and two storage units with dozens of collections, including 60,000 beer cans. His compulsions have cost him his marriage and his lifestyle. He is deeply in debt and stuck working a low paying temp job. He now needs to unearth the gold mine he is sitting on, so he can sell his collections and get out of debt. Julie / Shannon (44:32) - Julie is living a nightmare. A series of tragedies triggered massive hoarding which in turn led to Julie's son moving in with her ex-husband. Now she must clean up or risk losing the two daughters that still live with her. 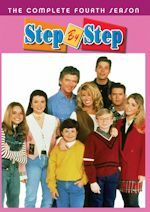 Shannon, her husband Tim, and their four young children live in a house that is filled with garbage and infested with mice. Her dogs roam freely in the clutter and there's a two foot hole in the bathroom floor. She was devastated when Animal Control removed 20 cats from the home three weeks ago. Now, as cameras are rolling, police arrive at the front door with Child Protective Services to remove her children. Deborah / Jim (44:32) - Deborah, a 49-year-old mother of two is living in fear that her hoarding will lead authorities to take her children away again. Her husband Ron is at his wit's end. He says her hoarding fueled his depression and alcoholism. She says his alcoholism fueled her hoarding. It all came crashing down around them when Ron attempted suicide in 2003. Now, Deborah's anxiety has reached an all time high. She has to make a major change or risk losing her family for good. Jim, a well educated Bee Keeper, is living a double life. He manages a successful honey business, but the inside of his home is a nightmare. Heather, Jim's 37-year-old daughter, will call Adult Protective Services on him if he doesn't clean up his act for the sake of himself and his eight-month-old granddaughter. Linda / Todd (44:29) - Linda's family has been ripped apart by hoarding. She wants nothing more than to have a relationship with her grown children, but they refuse to come near her house which is packed waist and neck high with piles of belongings. Despite Linda's past threat to commit suicide, her children have had it. And while her husband doesn't want their marriage to end in divorce, he doesn't feel he should be forced to live this way any longer. 29-year-old Todd has been collecting models, kits and various hobby items since he was a kid. His girlfriend of five years, Robyn, wants to get married and start a family, but has threatened to leave him if he doesn't clean up his act. Todd wants to create a life with her, but is at his wits end not knowing where to start. Unfortunately, there are no special features included. Season One featured some additional footage/deleted scenes. You can watch the deleted scenes from this season on the Official Site. Hoarders quickly became one of my favorite reality shows during the first season. The second season didn't disappoint with many fascinating and dramatic stories. There was a nice mix of stories from these 7 episodes. Augustine and Judi are probably the most shocking cases. A few like Dale and Todd were not as extreme and not as interesting. The story I can most relate to is Richard/Dr. Dickey. He seemed to be more of a collector than a hoarder. He just needed to get a bit more ogranized. I think it would have been better if they released the second season as one set, but hopefully it won't be a long wait for the second volume. Season Three is coming to a close with only a couple of episodes remaining. If you missed the compelling first season, you can catch up with it on DVD. Watch the addicting Hoarders on A&E on Monday nights at 10pm ET/Pt. It is no surprise that we (especially myself) love Lucy here at Digital Digest, so next week, we will be looking at MPI's latest release of The Lucille Ball Specials! And don't forget to check out our main reviews page next week for our review of The Lucy Show - The Official Third Season. I just received my review copy of it today, and fans are not going to be disappointed with this great set at all. So make sure to check us out next week and all throughout the week, and until next time on Digital Digest, keep it digital!